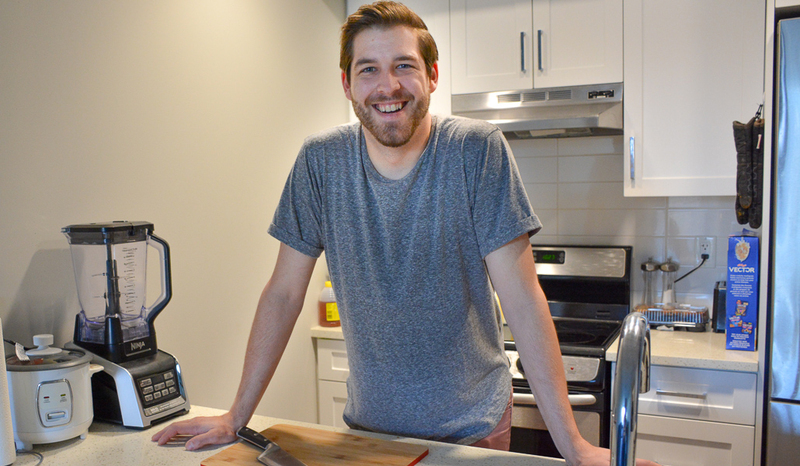 Meet Jack – a born and raised Vancouverite with a passion for cooking. He has bounced around the city, guided by his career as a chef, allowing him to explore many different neighbourhoods as a long-term renter. 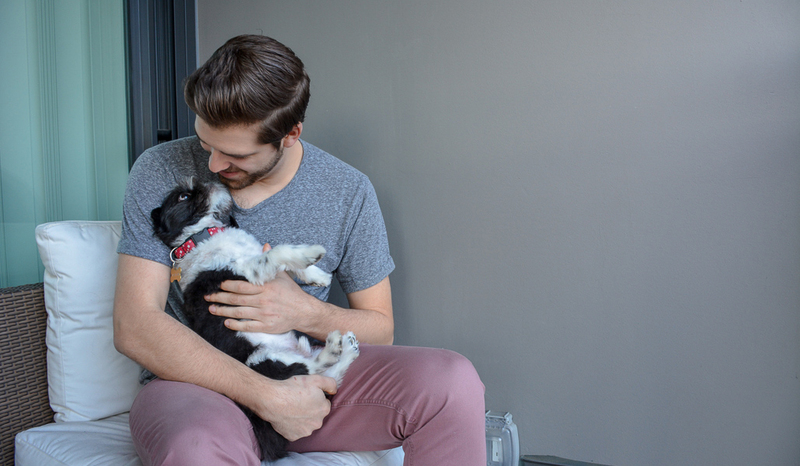 Most recently, Jack and his lovable pup, Chomp, moved into Bridgewater at the heart of North Vancouver. We interviewed Jack to find out how he Makes Hollyburn Home. Hollyburn: What do you like about renting? Jack: I enjoy getting to explore new areas of the city and meet new people. I also like the fact that I’m not tied down – there’s flexibility and I don’t have an expensive mortgage holding me back. Hollyburn: Do most of your friends rent or own? Jack: Most of my friends are renting right now. We’re all career focused and need the flexibility to pick up and go if a job opportunity opens up. Hollyburn: How long have you been renting? Jack: I’ve been renting for 9 years. It can be challenging to find a place with a dog, so I’m really happy we found Bridgewater. Hollyburn: What do you think is the biggest myth about renting? Jack: Sometimes it feels like you’re missing out on an investment opportunity, but if you think about it, renting gives you the opportunity to invest in yourself instead. It also provides the chance to explore and do things you wouldn’t get to do if you had to pay for a mortgage, like travel. Hollyburn: What is your favourite furniture piece in your unit? Jack: My couch! I’ve had this couch forever and I love that it’s big enough to fit all my friends when it’s my turn to host “Bad Movie Night.” Every week we get together, catch up, and throw on a terrible film for some laughs! Hollyburn: Do you have any daily rituals that you do in your apartment? 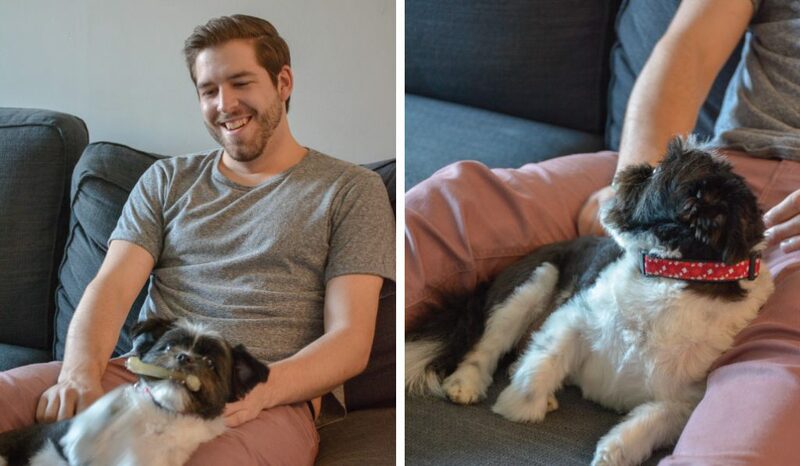 Jack: I like to stay connected and up-to-date on current events; every evening, Chomp and I cuddle up on the couch while I read the news. We’ve done this in every rental apartment I’ve lived – it’s a great way to relax and de-stress at the end of the day. Hollyburn: Any tips for feeling more at home in a rental apartment? Jack: Home is where your friends and family are; you can make any space feel like home by bringing people together and entertaining. Hollyburn: What is a staple item that every renter should have? Jack: A shoe rack! It’s an easy way to keep your entry clean and organized without taking up too much space. Hollyburn: Do you have a favourite room in your apartment? Jack: The kitchen, for sure. Being a chef, it was important to me to have a kitchen with enough counter-space and storage and a functional layout. This checks all the boxes! Hollyburn: What is your best storage tip? Jack: Utilize the unused space under the bed – it’s the perfect place to store winter clothes and items that aren’t used every day. Hollyburn: How was your experience searching for an apartment for rent? Jack: It was tough at first, but I added my name to the waitlist for North Van rentals at hollyburn.com, so I was notified when this unit came up. I actually looked at a similar rentals on Lonsdale, but chose Bridgewater because it had a more efficient floorplan and nicer quality finishes. Hollyburn: What was the most important factor in your search? 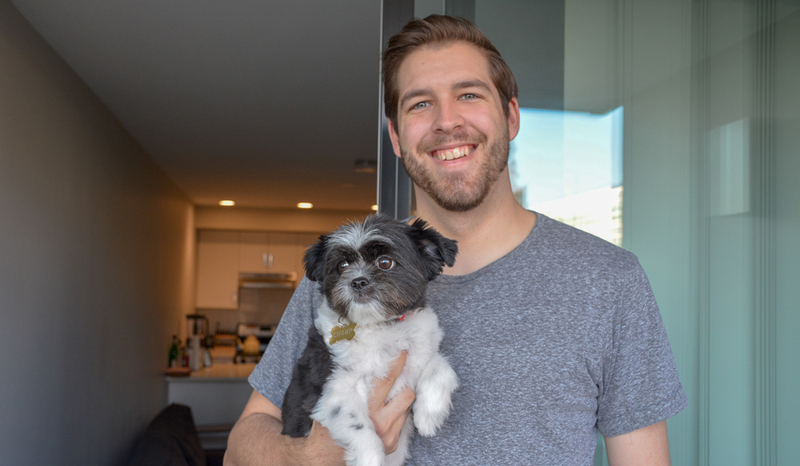 Jack: Location; I really like being able to walk to work, so I needed to rent in North Vancouver near Lonsdale. Hollyburn: Were there any pleasant surprises when you moved in? Jack: I was worried there wouldn’t be many areas to walk Chomp, but I’ve discovered tons of great parks and dog walking trails nearby! And the other dog owners in the building have been so welcoming. Chomp has many new friends! Hollyburn: Do you like your resident managers? Jack: Yes! 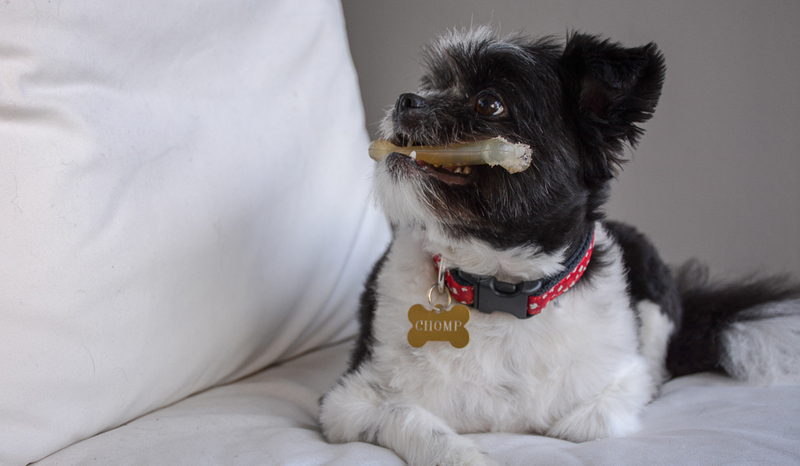 They’re wonderful – they have even babysat Chomp when I’m away! Looking for an apartment for rent? Sign up to receive project updates, news, and exclusive insights about our North Vancouver rentals.